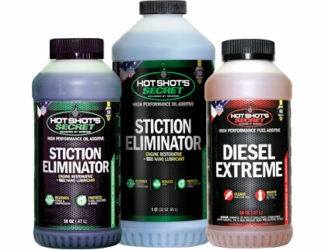 Before you replace your injectors, treat them with Hot Shot's Secret Stiction Eliminator. Stiction Eliminator is scientifically formulated to eliminate the stiction build-up that causes oil-fired injectors to fail. 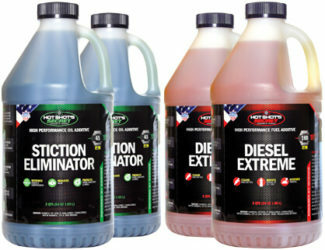 Dirt and water in your fuel system steal the power from your diesel; Hot Shot’s Secret Diesel Extreme is a powerful formula designed to rejuvenate your diesel’s fuel system. Hot Shot’s Secret FR3 Friction Reducer can be added to engine oil, differentials, and more. FR3 is guaranteed to increase fuel economy up to 5% and reduce engine wear up to 43%. 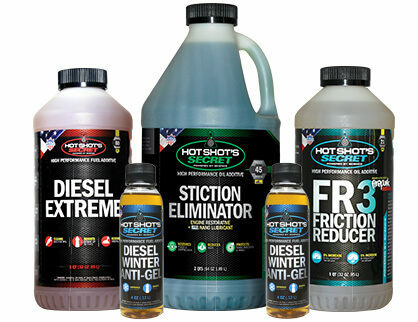 I use hot shot secret in my oil, fuel, and transmission oil. Great great products!